Mícheál Ó Cléirigh was born at Kilbarron Castle, located at Creevy near Ballyshannon probably around the year 1590. To understand how a simple lay Franciscan brother was born in such grandiose circumstances, we have to understand his background. The Uí Cléirigh or O’Clerys became the hereditary ollamhs or historians to the O’Donnells, the ruling family of Tir Connaill, in the 13th Century. The story is told in the Annals of the Four Masters that one Cormac Ó Cléirigh travelled northwards from Tirawley in Co Mayo and while resting in the Cistercian Priory of Abbey Assaroe he met Matthew O’Scingin who was at that time the Ollamh to the O’Donnells. Later the Brehon lawyer married Matthew O’Scingin’s only daughter and their eldest son Giolla Brid O’Cléirigh succeeded his grandfather to the hereditary office of Ollamh. It is believed that Kilbarron Castle was built by O’Scingins sometime in the 12th Century. The O’Scingins (Scinnions) originally came from Ard Carna near Magh Lurg an Dagha. This was close to the present town of Boyle in Co Roscommon and the name is recalled in the present day Barony of Ardcarne in Roscommon. The family were noted ollamhs in Magh Lurg. Ollamhs were hereditary scholars who would eulogize the lives and exploits of the chiefs of the clan. The Annals of the Four Masters record that, in 1390, “Cil Barraine” was demolished by Donal MacMortagh, one of the O’Connors of Sligo, whose clan were constantly feuding with the O’Donnells over lordship of the area between the Drowes and the Erne rivers. The castle was rebuilt subsequently and it is likely that the present ruins of the castle date from this period but would have more than likely have been built using the foundations of the older building. In 1609 as part of the land settlement known as the “Plantation of Ulster” carried out in the aftermath of the “Flight of the Earls”, the last ruling chief of the Uí Cléirigh, Lughaidh Ó Cléirigh, (who was a third Cousin Of Michéal Ó Cléirigh and who wrote a book on the life of Aodh Ruadh Ó’Domhnaill) was compelled to hand over the castle and the surrounding hereditary lands to the Bishop of Raphoe. He was compensated with a life freehold of some land along with other dispossessed natives in the Barony of Kilmacrennan in North-west Donegal. 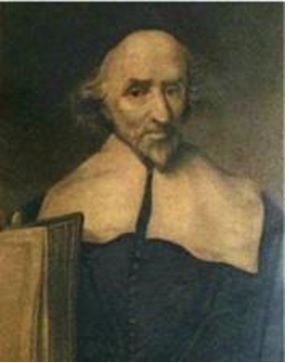 The Bishop of Raphoe Andrew Knox subsequently leased the lands to Francis Bracey. The Castle is noted as in ruins in the “Civil Survey of 1652 and may have been destroyed during the 1641 rebellion. The story of Kilbarron castle in the years since then is one of gradual decay helped along with the action of the prevailing westerly winds from time to time. “Near the glebe-house, on a stupendous rock rising almost perpendicularly out of the sea, are the ruins of the castle of Kilbarron, which is supposed to have been inhabited by freebooters”. 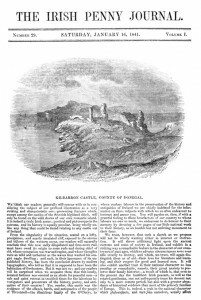 It was only later in an article in the Irish Penny Journal in 1841 signed “P” (probably written by the editor George Petrie) that the full story of Kilbarron Castle and its association with the Uí Cléirighs and the Four Masters was understood by the public at large. …..”whose thoughts were as wild and turbulent as the waves that washed his sea-girt eagle dwelling; and such, in their ignorance of its un-published history, has been the conclusion drawn by modern topographers, who tell us that it is supposed to have been the habitation of freebooters”…..
“Yes, reader, this castle was the residence of the ollaves, bards, and antiquaries of the people of Tirconnell-the illustrious family of the O’Clerys, to whose zealous labours in the preservation of the history and antiquities of Ireland we are chiefly indebted for the information on those subjects with which we so often endeavour to instruct and amuse you”. The publication of the “Annals of the Four Masters in 1849 translated from the original Irish by John O’Donovan led to a renewed interest in Kilbarron Castle and its association with Michéal Uí Cléirigh and the other authors of the Annals. Kilbarron Castle was featured in many travel books of the period and was recommended to the visitor as an historic site of great importance and well worth visiting within County Donegal included amongst such historic sites as Donegal Castle and Doe Castle. There is an engraving of a sketch by J.H. Burgess of the ruins in a book by Mr. & Mrs. J.C. Hall in 1843 called “Ireland Its Scenery and Characters”. “From Ballyshannon several places of great antiquarian and also of picturesque interest are easily accessible. Amongst these Kilbarron Castle for ages the residence of the O’Clerighs (hereditary historians to the O’Donnells, Princes of Tyrconnell) is the most remarkable not only because of its historical associations, but also owing to the grandeur of its position upon a wild rock overhanging the Atlantic”. Sadly such interest did not lead to anything being done to conserve the ruins of the castle and by the time F.W. Lockwood surveyed the site in 1903, for the Ulster Journal of Archaeology , very little of the upstanding walls remained. This deterioration has continued to the present day. At the present time there are plans to conserve what remains of the foundations and walls of the castle, something that will serve as a memorial for the tremendous work done by the Uí Cléirigh historians and the Four Masters in particular to preserve the history of Ireland for future generations. Welcome to the website of the Mícheál Ó Cléirigh Summer School. The School was established in Rossnowlagh in 2013. The first Summer School took place on 17th May, 2014. The purpose of the school is to celebrate the life and achievements of Mícheál Ó Cléirigh and his colleagues, the other members of the ‘Four Masters.’ The school also commemorates the work of the Franciscan Friars of the period who lived in Donegal and in Louvain. Mícheál Ó Cléirigh was born in Creevy, between Rossnowlagh and Ballyshannon and the Franciscan Friary today is located in Rossnowlagh. 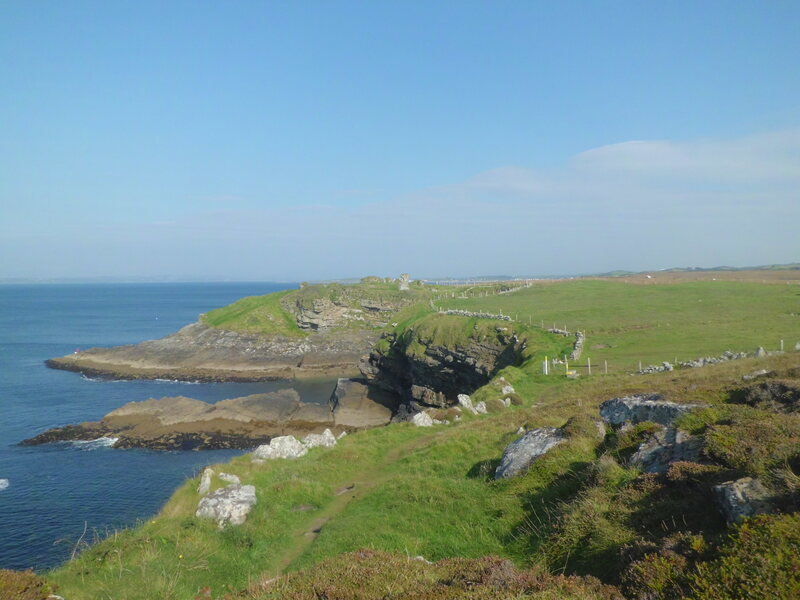 It is entirely appropriate, then, that the Mícheál Ó Cléirigh Summer School is located in Rossnowlagh, in the Friary itself and and environs. University of Toronto These are the "Annals of the Four Masters" as translated from Gaelic by John O'Donovan in 1856. The title chosen by Mícheál O'Cléirigh was annala rioghachta Eireann or in English "Annals of the Kingdom of Ireland" The term Annals of the Four Masters was coined by Fr John Colgan latterly, even though many more than four annalists contributed to the project. Copyright © 2019 Mícheál Ó Cléirigh School. All Rights Reserved. Magazine Basic created by c.bavota.